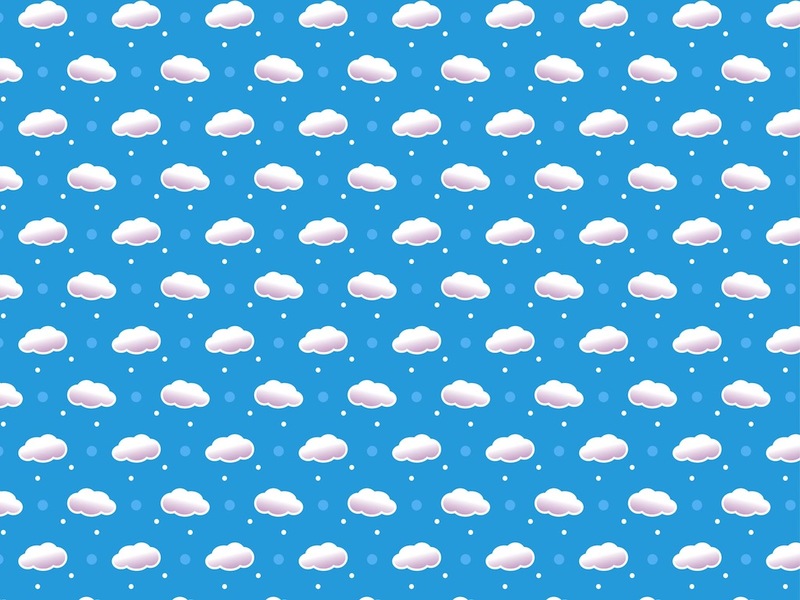 Seamless vector pattern with small cartoon clouds. Gradient color soft clouds with light outlines and small dots decorating the pattern. Free vector illustration to use in all your backgrounds, wallpapers, document templates, clothing prints, fabric patterns and greeting cards designs. Free pattern for weather and sky projects. Tags: Cartoon, Circles, Dots, Geometric Shapes, Pattern, Seamless, Sky, Weather.